The most economical transportation solution for on-highway tandem operations, the Spicer® EconoTrek™ tandem axle features a durable 6x2 configuration that offers a weight savings of up to 450 pounds and increased fuel economy. 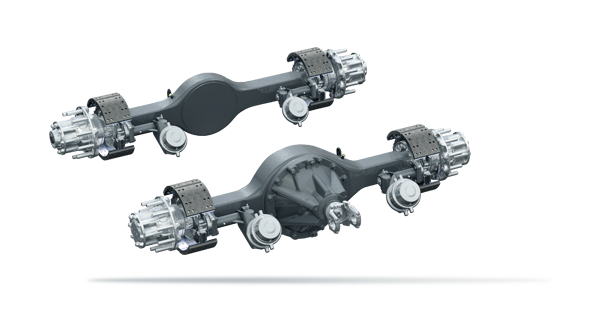 This lightweight yet heavy-duty tandem axle provides superior performance benefits for commercial vehicles. Unlike competitive tag axles, the Spicer® EconoTrek™ is up to 21 pounds lighter and features a robust square-edge banjo housing design for added durability and reliability. For added tractive benefits, the Spicer® EconoTrek™ is optimized for use with electronic controlled load distribution air suspension systems.